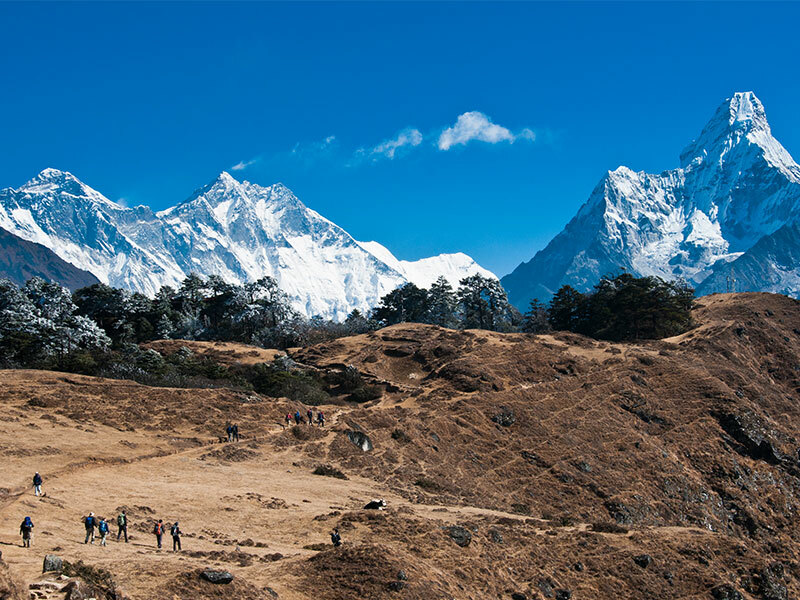 Manaslu (8,163) is the high peak of the Gorkha massif, and is the eighth highest mountain in the world. 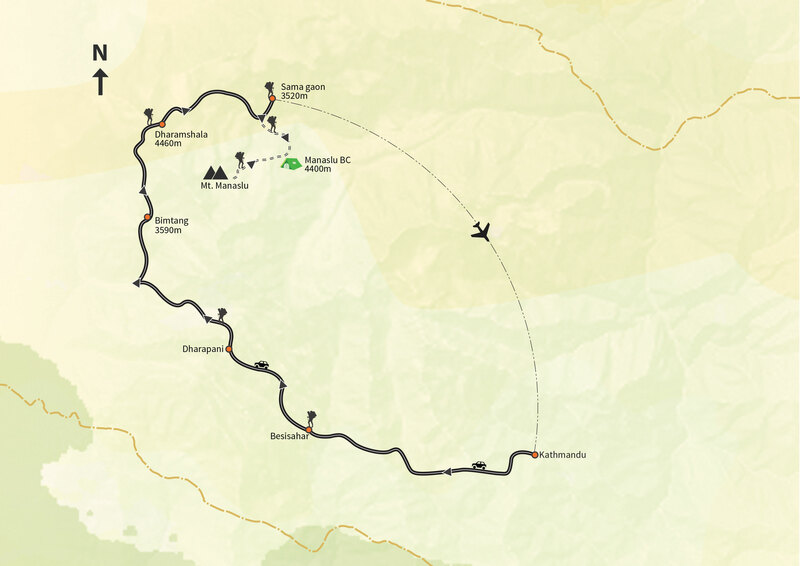 It is located about forty miles east of Annapurna, the tenth highest mountain. Climbing Manaslu requires more time than other 8000m Peaks in Nepal due to long approach to reach to the base of the mountain however we can use a helicopter to make a expedition shorter. 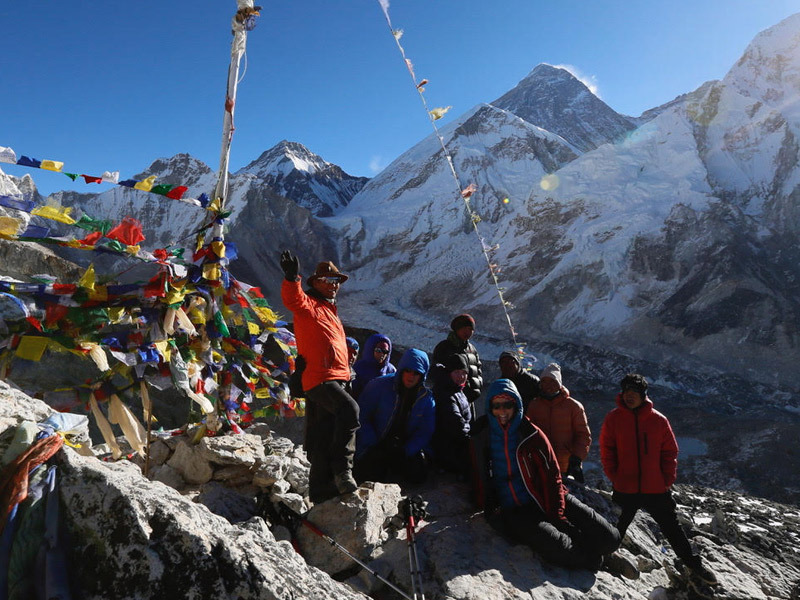 The name Manaslu is derived from the Sanskrit word Manasa and can be roughly translated as Mountain of the Spirit. An all-female Japanese expedition successfully ascended to the summit, thereby becoming the first women to climb an 8,000-meter peak. The mountain’s long ridges and valley glaciers offer feasible approaches from all directions, and it culminates in a peak that towers steeply above its surrounding landscape, and is a dominant feature when seen from a far. 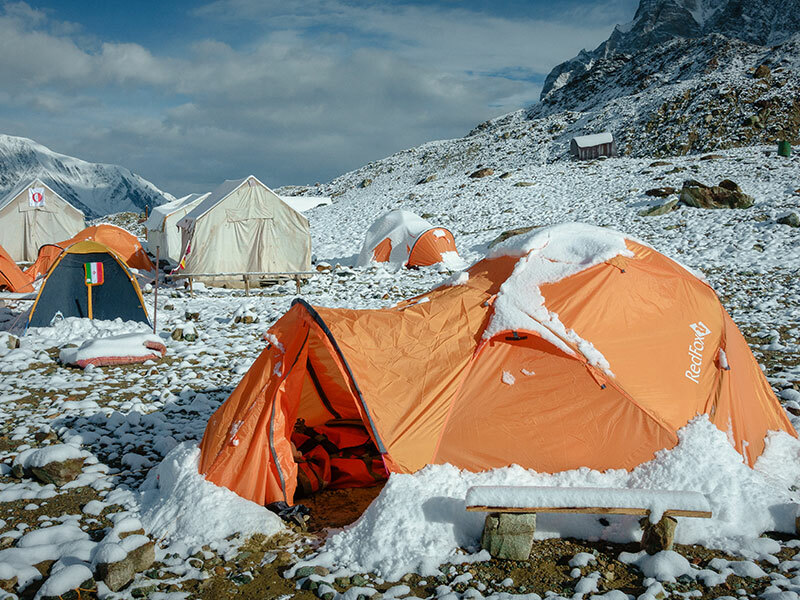 Normally, four camps will be set up in the approach of the mountain. There will be a few stretches of steep climbing and crevasses from Camp I to Camp II. Slippery snow climbing is required from Camp II to Camp III. Avalanches are a threat from Camp III to Camp IV. The first survey of the peak was made by a Japanese expedition in 1952 and the first climb was made by Japanese team on the peak in 1953. Personal Travel, Medical and rescue Insurance - obligatory! Most nationalities require a visa for Nepal, which can be obtained in advance or on entry. If you wish to apply before departure the current visa cost is £20 for a 15 day visa and £35 for a 30 day visa for UK passport holders. The current cost of a visa on arrival is US$25 for 15 days, US$40 for 30 days or if extending your stay $100 for 90 days. All are multiple entry. The visa on arrival fee can be paid for in cash in US Dollars, Pounds Sterling or Euros. You will also need a passport photo. Application forms are available in the immigration hall (or for electronic passports there are visa registration machines which, after inserting your passport, automatically fill out a form for you). You must firstly join the queue to pay the visa fee, and then go to the relevant immigration desk to obtain your 15, 30 or 90 day visa stamp. There can be long queues for visas on arrival. Breakfast is included throughout the trip and all meals are provided while camping. On trek the breakfast will be a set menu usually consisting of porridge and toast. Any additional items that are not included in the set menu should be ordered and paid for separately. We do not include lunch and dinner in the tea-houses, allowing you to choose what you want to eat and when. Although most lodges have almost identical menus, they are reasonably extensive and offer a varied selection, ranging from traditional Nepalese dhal bhat to pizza and apple pie. All teahouses will provide cold water free of charge, if requested. Although this should not be drunk untreated, we recommend that you bring a reusable bottle with a wide opening (Nalgene or similar) with you and use a SteriPEN to treat it with. A SteriPEN is a handheld UV water purifier – small, lightweight and battery powered so easy to pack for a trek. In Nepal’s trekking regions most of the bottled water isn’t strictly ‘mineral water’ anyway but is UV treated, so it’s exactly the same technology. It’s quick to use, far more effective than purification tablets, and the water is ready immediately. It’s fine to use a SteriPEN on non-boiled water so long as it isn’t cloudy or full of sediment (which is uncommon in these regions). If you prefer not to invest in a SteriPEN, the teahouses also sell boiled water for approx. Rs150-300 per litre (the price increases the higher you trek) which should not require treating. This is also perfect for a bedtime refill as it can double up as a hot water bottle. Pre monsoon/spring: March to May. Both day and night temperatures will be warmer in general but haze will often build up in the afternoons. It is very hot in the lowlands and temperatures rise to 35ºC in Kathmandu. Flowers bloom in this season and this is one of the reasons people chose to trek in spring. Fitness Level and Technical Ability Climbers wishing to join this expedition must already be experienced with rock and ice climbing and have successfully completed previous climbs at high altitude, over 4500m (15,000ft). This expedition requires excellent levels of fitness to endure the extreme conditions of summiting big peaks. To prepare for this, climbers should undergo a regular and strenuous exercise regime for at least 6 months to build their strength, stamina and endurance. Down Suit- Recommended Absolute Zero Oversuit by Mountain Hardwear, or Ulvetanna Suit by Berghaus, or The Himalayan Suit by The North Face, or the Expedition Suit by Rab. Down mitts- Recommended The North Face, or Marmot Expedition mitt, or Mountain Hardwear Absolute Zero Mittand. Bed & Breakfast Basis for 3 nights at the beginning and 2 nights at the end of the expedition, in double rooms.